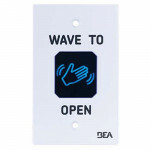 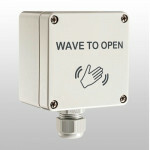 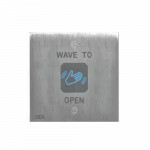 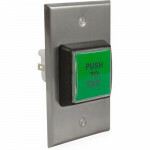 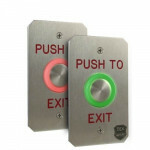 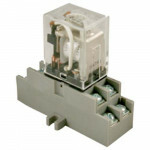 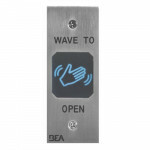 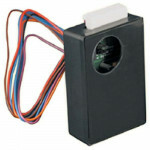 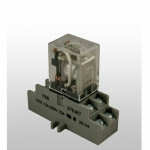 to use when either a magnetic..
10MS08U BEA Magic Switch touchless switch microwave motion sensor is used as a contact-free switch, ..
10ACPBSS1 BEA 2" x 4" green illuminated push button with "Push To Exit" text onlyThe brightly lit pu..
10REL24VAC BEA ISO 24VAC DPDT(Double Pole Double Throw) Isolation Relay BEA ISO Relay Informatio..
10REL24VDC BEA Double Pole Double Throw 24VDC Isolation Relay BEA ISO Relay Information 24VD.. 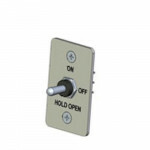 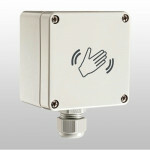 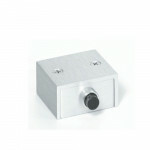 The Piezo Button incorporates piezoelectric technology to convert physical touch (pressure) of the p..
MS09L BEA Touchless Switch offers a NEMA 4 rated MS09 sensor that utilizes microwave moti..
MS09TL BEA Touchless Switch offers a NEMA 4 rated MS09 sensor that utilizes microwave motion technol..
10MS11D BEA Touchless Switch, for Double Gang Electrical Box BEA Magic Switch Information BE..
10MS11J BEA Touchless Switch, for Jamb Style Mounting BEA Magic Switch Information BEA’s MS1..
10MS11S BEA Touchless Switch, for Single Gang Electrical Box BEA Magic Switch Information ..
10DOORSWITCH BEA Door Switch Assembly, 3 Position On/Off/Hold Door BEA 10DOORSWITCH Information .. 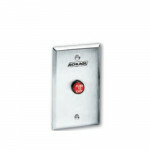 The Locknetics by Schlage 701RD SPDT Momentary 7/8” Red Pushbutton is used to control the ingress an.. 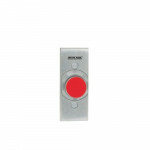 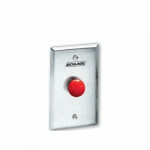 The Locknetics by Schlage 621RD Red Plastic Button 1-1/4” diameter Heavy Duty Pushbutton is used to .. 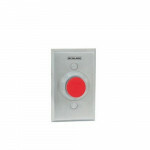 The Locknetics by Schlage 621RD NS Red Plastic Button 1-1/4” diameter – 1-3/4” Narrow Stile Plate He.. 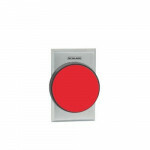 The Locknetics by Schlage 625RD Red Palm Button 2-3/4” diameter Heavy Duty Pushbutton is used to con..
701RD-EX Locknetics SPDT Momentary Red Pushbutton - Engraved "PUSH TO EXIT"
The Locknetics by Schlage 701RD-EX SPDT Momentary – Engraved “PUSH TO EXIT” - 5/8” Red Pushbutton is.. 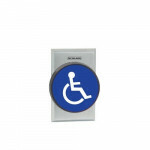 The Locknetics by Schlage 625BLH-DP Blue Palm Button 2-3/4” diameter x DPDT Heavy Duty Pushbutton is.. 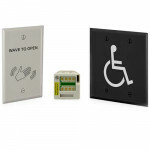 The Locknetics by Schlage 660-PB SPDT Momentary Pushbutton Surface Mini Box is designed for conceale..
709RD-EX-ILL Locknetics SPDT Momentary - Illuminated "PUSH TO EXIT"
The Locknetics by Schlage 709RD-EX-ILL SPDT Momentary – Illuminated “PUSH TO EXIT” - 2” Red Square P..